Knit! I recently got interested in knitting again. 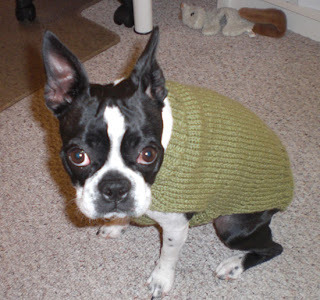 So, I made a scarf (nice red wool tweed) and a new sweater for Emma. Her sweater is acrylic. The scarf was the first actual knitting project I ever finished. I find it very relaxing to have something to do while watching the debates or news or movies on TV at night. 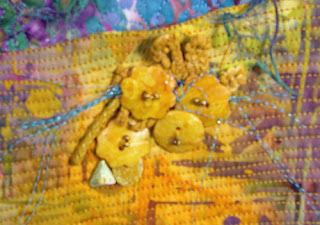 I don't like to do quilting when I watch TV as most of my quilting involves machine work. This weekend, we found a new to me yarn shop that is packed with the most delicious yarn!! Lots of hand dyed wool and lots to pet. 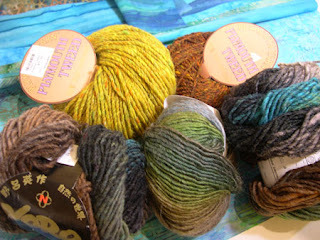 As you can see in the picture below, I found some of my favorite which is Noro Kureyon, a Japanese yarn. It is 100% wool and comes in the most wonderful variegated colors. I so wish it were sold at AC Moore or Michaels as it is easier to get to those stores than the yarn shop in Vienna. Saturday, we went on an adventure looking for the yarn shop (Vern was driving). We found it after a beautiful detour in the country. He waited in the car (with his laptop) while I ran inside. When I came out, the car wouldn't start! This is a Honda Accord, only two years old! Never an indication that the battery was low, but yep, we were stuck. Not having our kids to call, we called AAA. I was expecting the traditional tow-truck driver with a cigar stuck in his mouth and all that goes with that scene after waiting an hour. But no, within 10 minutes of our call to AAA, a nice young man, probably college age, drove up in his nice car with a AAA panel on the side and gave the battery a jump. We were soon on our way to the dealership where we purchased a $new$ battery. Maybe the world has changed. We need more changes like that. I realize I took too much time off from my blogging! 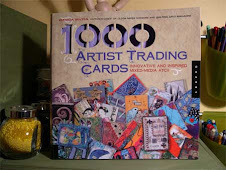 I have been designing and creating quilts, studying art theory and doing lots of reading. 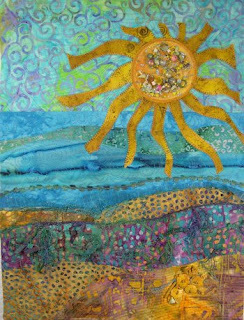 So, here is a very whimsical finish of a quilt that I did for my local art theory group. Below is a detail shot. 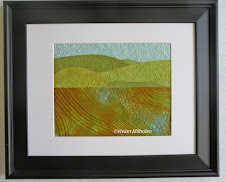 I really should take a better photo, but it is now hanging at "The Artful Quilter" in Centreville. So, hopefully, this one will do for a posting. 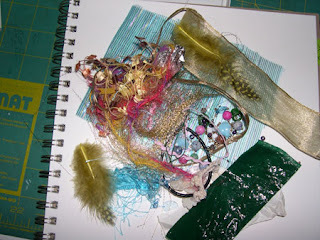 You can't see all the details, but if you look at the photo with all the challenge parts lying on my sketch pad below, you will see why I made it a "whimsical" quilt. Our challenge for the art theory group was to use all the parts in an art quilt. I used them all except for the feathers. There were beads, buttons, ribbons, papers, wire (which I curled and attached) and I can't remember all of it. I don't normally like to use so many embellishments so it did stretch my brain. I cut up as much as I could and added it to the sun which has a layer of tulle. I'm glad this one is done, my assignment is done and I can move on to things I really like. I'm currently working on a new design that I hope to finish up this afternoon and I will post tomorrow. I'm writing myself a post-it note to remind myself to blog tomorrow. 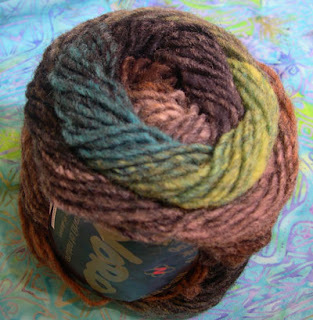 I have to tell you about my adventure to the local yarn shop which involved AAA. 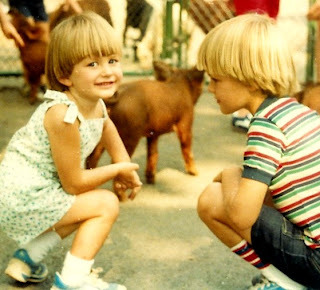 Here is a picture of Traci & Matt, our kids, at a petting zoo. Wow, they grew up fast! Now they are grown and out on their own.